Australia already has laws to enable the blocking of overseas sites that facilitate piracy but the content industries want more. New legislation unveiled today will give copyright holders new tools to force Google and other search engines to delete search results that link to infringing sites. 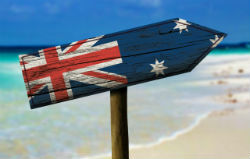 Section 115a of Australia’s Copyright Act allows copyright holders to apply for injunctions that force ISPs to prevent subscribers from accessing ‘overseas online locations’ that facilitate access to infringing content. The legislation has been used on a number of occasions since its adoption in 2015 and as a result, dozens of notorious pirate sites are now inaccessible via regular means. However, pirate sites are often quick to adapt, with mirrors, proxies and other sites popping up to reactivate access. Additionally, search engines – Google in particular – provide a handy reference guide for those looking for these kinds of resources. The entertainment industries are therefore keen to plug this loophole, to ensure that their web-blocking efforts are as effective as possible. That has resulted in the publication today of proposed amendments to copyright law. That search engines are being targeted in this manner is not a surprise. Entertainment industry groups everywhere believe that Google has become a key part of the piracy problem and rhetoric has at times been scathing, particularly in Australia where Village Roadshow chief and outspoken piracy critic Graham Burke has continually slammed the company. In a TV interview with Sky News Australia yesterday, Burke said that site-blocking is working to an extent but is being undermined by the actions of Google. “It’s been very effective because the traffic to the blocked sites is down 53% and that’s extremely gratifying. But it should be down 90% and the reason it’s not down 90% is because Google are saying ‘Hey, the front door’s been shut but hey folks, here’s the back door, we’ll lead you round to the backdoor’. In so doing, actually – in my view – they’re facilitating crime,” Burke said. “If you Google in ‘Watch Mad Max Fury Road’ up will come a whole raft of pirate sites. [Google are] taking people to the proxies, to the mirror sites, of the pirates and they’re doing it unashamedly,” he said. Google already and voluntarily demotes pirate sites in search results based on the number of DMCA notices it receives against them. However, should this legislation be adopted, it will be required to remove references to them completely following an injunction, at least in the Australia-facing parts of its service.